Thirty years ago, to watch the latest blockbuster movie you had to visit your local cinema, or wait for it to be available to rent or buy on Betamax or VHS Cassette. Fast Forward to today’s digital age and we have a multitude of ways to get our movie fix, whether its Cable, Satellite, DVD, Blu-Ray, Netflix, Virgin, Amazon Prime etc. the list seems endless. Why do we need the Cinema? With home entertainment as diverse and as rich as it is, I’d forgotten the thrill of watching a movie with 400+ ADHD sufferers to share their joy, laughter, excitement, thrill and horror. Something you don’t necessarily get in your home! Having realised it’s been a while since visiting the cinema it was probably time to make the effort, after all it’s Christmas! Looking on-line I see the price of a ticket is £13 per adult with a £1 booking fee! That’s £14 to watch a film! In these austere times, and remembering my last experience at the cinema, I’ll wait and buy the movie for download for the same price, as an added bonus I’ll also have the option to watch the film as many times as I like, whilst having the capability to pause, rewind and set the volume level to a suitable level all in the comfort of my home. The last time I visited the cinema (about 2012), it wasn’t a warm, welcoming or friendly experience I’d expect for the money they charge. 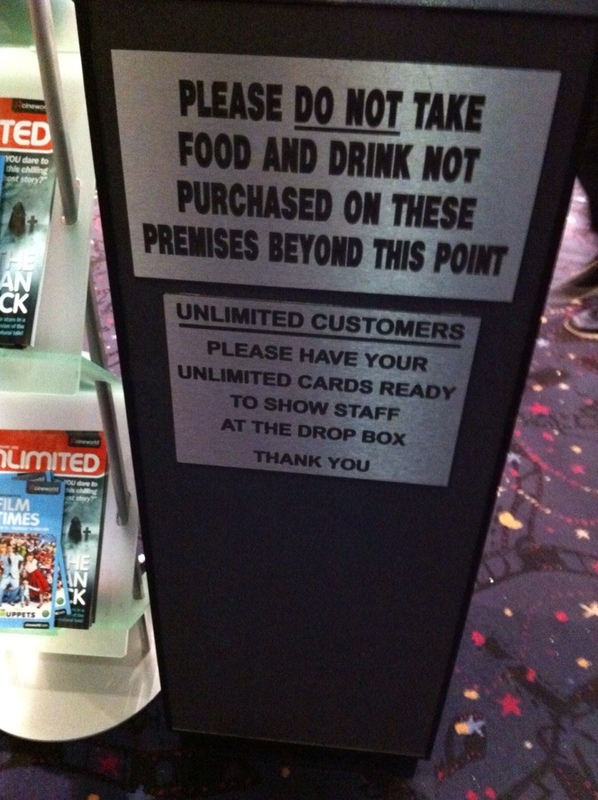 Upon entering the cinema you are immediately greeted with a sign stating that it is unacceptable to take your own food and drink, they even confiscate your goods or refuse entrance if they see you’ve brought your own. They do however try to upset you their over inflated drinks, popcorn and poor quality hotdogs which will set you back about £7 a pop! I accept they are there to make a profit. But treating a captured audience this way is dirty pool. With the overpriced popcorn, nachos, ice cream and fizzy drinks aside, we are left with the overall viewing experience. What no Pearl and Dean? Where’s the familiar theme tune? Then the fun started… An elderly group turned up 10 minutes late into the film who proceeded to complain loudly about seat allocation and their various ailments, the kids and adults who won’t shut up, to the guy behind kicking the back of your seat as he fidgets, people getting up and blocking your view whilst they take a mobile call, or decide if they need a “comfort break” just 20 minutes in. Indeed I’d forgotten the joy of sharing the cinematic experience with a couple of hundred people suffering ADHD. 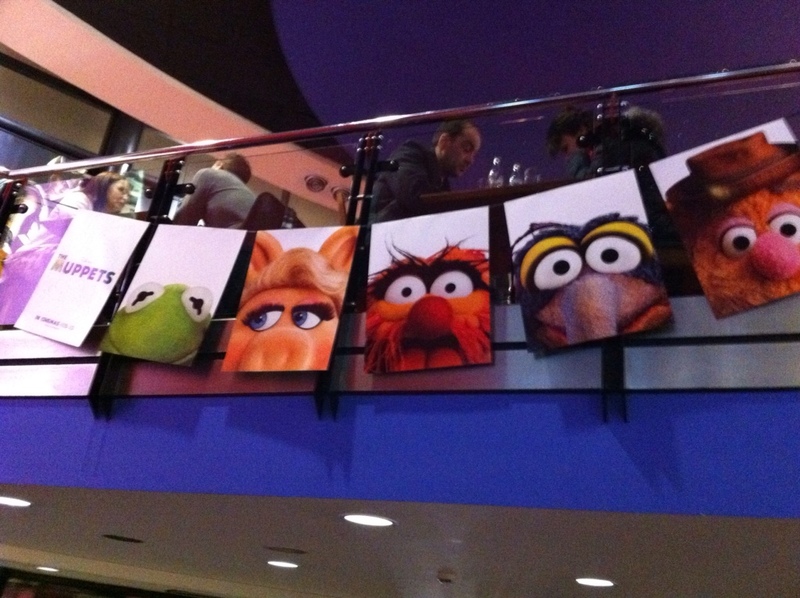 It is no longer a pleasant experience, people no longer have the attention span to enjoy a movie…. In the 70s, you were shown to your seat by an usher, you weren’t allowed to enter the screen once the main feature had started, unless the usher who made you wait for an opportune moment to be seated, and of course there was a break half way through for ice cream and toilet breaks. If you left the room, you weren’t allowed back until the usher gave you permission. For me, the cinema in its current form is dead when there are cheaper, more comfortable and better places to watch the movie, and yes I will wait until Star Wars is available for download in 2016.